Can a Project Management System Really Help Your Business? A project management system slows everyone down. It’ll create a power struggle between our staff. The last thing we need is more bureaucracy and red tape. It’s going to decrease productivity. We’ll be forced to deal with unnecessary rules instead of getting things done. Some go out on a limb and state that project planning itself is unnecessary. That’s the perception lots of people seem to have…but is it true? FREE PDF: See 18 ways project management software can immediately help you. This free guide breaks down all of the benefits. Perfect to share with your boss! Download it here. What do you need to be successful at work? While success looks different from person to person, the ingredients required for success are pretty standard. When we have all the right ingredients for success, however we define it, success appears. We accomplish what we’ve set out to do. Then, hopefully, we receive all of the wonderful benefits that come with success. Create a conscientious team. Everyone is focused on getting things done because they need to be done. No one’s keeping score, or retorting with, “it’s not my job,” when they’re asked to make things happen. Consistent standards. You have to know what’s expected of you, how things should be done and what should be avoided. You have to know this ahead of time. A good team knows how each member helps to establish and maintain consistency. Expect disasters, difficulty and setbacks. Reality will shake the best made plans apart. Persistence is a subset of time, an obvious trait that often requires pain, suffering and struggle. It’s baked into persistence itself. If you want to reach your goal, to achieve results, prepare for pain. Focus is about prioritization. Maybe your customers want you to add a feature that takes you away from your mission or brand values. Maybe you’re wasting your time on a product that isn’t as important for you, when you should be focused on products you already have. Focus keeps your attention fixed on the details you’ve prioritized with your team. Cooperation is a must. There’s simply too much involved for one person to build a successful business alone. Entrepreneurs love to state that they’re self-made, but they forget about the army of accountants, lawyers, developers, managers and customers who made them. It’s the same with your team. You need help if you’re going to get the results you’re looking for. Cooperating with others is a tacit admission that you’re vulnerable and you need help. Encouragement is valuable. You scratch my back, I’ll scratch yours. It’s lifting your teammates up when they’re weak and vice versa. Pushing forward to accomplish a common goal. Support builds confidence, reciprocation and camaraderie with your teammates. When they know you’re their rock, they know they can count on you. Make trust the foundation. Your team cannot perform without it. You cannot achieve the results you’ve set out to achieve without trust. Company politics, bureaucracy and in-fighting erode trust, destroying your team’s ability to function and work together. These concepts aren’t new are they? But more often than not, these ingredients are tossed aside at work. Doing Nothing Is A Project Management System. Here’s the crazy part: you already have a system in place and you may not realize it. Constantly emailing one another about updates? That’s a system. Losing files in email attachments? That’s a system. Creating tasks in Excel? That’s a system. And for that reason…most projects are train wrecks. They could be managed better. Less than 1/3 of all projects are completed on time and in budget. What’s worse, low performing companies only finish 36 percent of their projects successfully. This makes sense when you realize 77 percent of teams don’t agree on when a project is actually finished. 80 percent of these teams end up redoing completed work. Statistics like these point to a deeper problem. The ingredients I mentioned earlier, they’re in short supply or missing entirely. They are signals that your project has gone off the rails. This is typically due to an issue with one of the ingredients I mentioned earlier. Price’s Law Makes Everything Worse For Your Business. 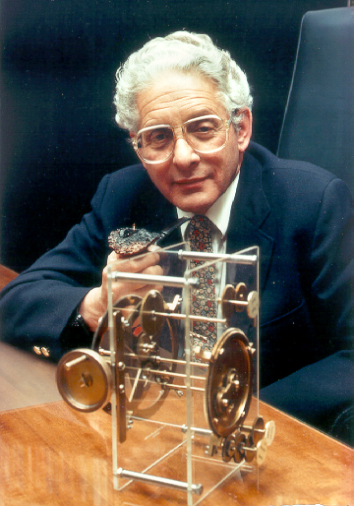 That’s Derek J. de Solla Price and he’s the information scientist responsible for Price’s Law. Price’s square root law, states that 50 percent of the work done at a company is done by the square root of the number of employees. If your business or team has 100 employees, 10 of them do half the work. This is empirical, scientifically demonstrated stuff. The research shows this happens regardless of your industry, the size of your team or your company. If there’s a group, a tiny majority of the people in that group are doing most of the work. You’re reading this article, and you’ve read this far. That means there’s a very good chance you’re one of those people doing most of the work. You’re carrying everyone else, you’re the horse pulling the cart. Because you care. What are these other people doing? Some are struggling to get work done. Others are doing the bare minimum. Many of them aren’t doing any work for one reason or another. Maybe they’re jaded and disillusioned with their company. Could be they’re just there to collect a paycheck. But, there’s one thing these people, your co-workers, have in common. They’re either intentionally or accidentally sabotaging the projects your business takes on. You’ve seen it. Tasks are assigned and completed but they aren’t done well. Tasks are continually being adjusted, reworked or redone. If you have these people in your business, they’re expecting you to cover for them. Having a project management system keeps everyone accountable. As businesses grow, it becomes harder and harder to identify who the most productive employees are. Top performers see their co-workers aren’t working. They leave as soon as their company faces a setback (e.g. recession, loss of a large client, etc.). This makes sense because they’re A-players, and they’re in demand. Poor performers are all that’s left. This makes it harder to get projects, campaigns, work done. Productivity drops as the next highest performers abandon ship. Productivity falls some more as more people leave. If your business has 10,000+ employees, losing 100 may not seem like much, until you factor in Price’s law. When a business begins losing its top performers, the results are catastrophic. Well, why are top performers leaving in the first place? It’s simple. Top performers, like you, want to work with other top performers. What does any of this have to do with project management? Great project management enables you to forecast the future. When you have project management in place you’re able to answer some very difficult questions. You’re able to determine your success on a given project. Your employees, your co-workers, self identify. They out themselves as to what kind of employees they are. With good project management you’re able to divide tasks up as needed. You’re able to monitor the quality of work. Who’s doing what? Is the work getting done? Is it being done well? When the inevitable problem crops up, project management gives you direction. These tasks were assigned to Jan but they weren’t finished. What’s going on? Dwight, completed these tasks but they weren’t done well. We have to redo them. What happened? And we’re waaaaaay over budget. What specifically pushed us over the edge? Good project management flushes out communication issues. Pam says customers aren’t responding to the ads in our new marketing campaign. Prospects on our Facebook page don’t seem to understand or value what we’re trying to say. Mindy says customers are running into the same problems with our app. They want us to add this feature in our next release. Will you have immediate access to this data without project management? Maybe you’ve heard the saying: What gets measured gets done. A solid project management system is how high- performing businesses work. Every business needs project management. Your business needs project management. Here are some compelling reasons why. Reproducible results. You’re able to identify what works and what doesn’t, giving your team the tools you need to eliminate past failures and mistakes, and increase successes. Project management gives you the ability to figure out what works, then iterate on your past success. Consistent delivery. Small-to-medium businesses don’t always have the systems and procedures they need. The tasks, schedules and deliverables tend to be in the owner’s head or the hands of a few key employees. Customer satisfaction is inconsistent at best. With project management, you’re able to provide the people you serve with a consistent and positive outcome. Happy customers. When customers have consistent and positive experiences over time, they learn to trust your company. When managers have consistent experiences over time, they learn to trust your team. That gives the people you serve the confidence they need to take risks – customers spend more money on larger products, stakeholders promote those they can count on and hand out raises. Decreased expenses. Project management gives you the practice you need to outperform. With project management, you’re able to develop the systems and procedures you need to accomplish more with less. With practice, you’ll be able to launch your campaigns, products, services – faster. You’ll be able to spend less money on the strategies and tactics that work. Improvements in quality and quantity. You’ll be able to establish a baseline, using your previous successes to iterate and grow. This isn’t simply a coincidence. It’s based on the learning and growth you’ve experienced over time via previous projects. If project management is a part of your company, you’ll have this data to work with. If it’s not, you won’t. Better estimation. Project management measures the results from your previous projects. This builds experience over time. You’ll have hard data on the individual tasks, your schedules and deliverables. You’ll know how long it takes to create a campaign, product, service, or idea. That experience will give you the ability to create better, more accurate estimates on future projects. Improved risk assessment. Project management gives you data over time. What worked with previous projects and what failed. With good project management, your team will have a clear idea of the risks you should take and the risks to avoid. Accountability is one of the biggest benefits of project management. Project management is the tool you use to manage the downsides that come with Price’s law. Instead of wondering which co-workers are performing best, project management shows you. Your employees will out themselves, giving you the tools you need to retain A players, retrain A player potentials, and remove C players from the team. Have a poor project management system in place (or worse, no project management)? It’ll be incredibly difficult to hold your team accountable. The truth is, you do have project management of some sort. It’s just not good. And the factors above? Those aren’t looking too hot. When it’s handled well, you get the bird’s eye view, a high-level overview of your project or campaign. You’ll see the overall trends, as well as the data you need to change the outcome of your work. But, you’ll also get the worm’s eye view, a perspective that’s up close and personal. When these viewpoints are combined, you receive clarity. Clarity about the strengths and weaknesses of your team, your customers, product or service. You’ll have the data you need to identify your top and non-performers. Success or failure, your business is at stake. This isn’t a comprehensive list, but it does show that project management is an indispensable part of running a business. The process is often informal but the needs are the same. Project management isn’t pointless, it’s fundamental. It ensures your business has all of the right ingredients you’ll need to produce A player results, again and again and again. Project management is the framework for success. It eliminates power struggles and red tape. These problems still occur, but it happens outside of the project management sphere, in spite of project management. Not because of it. When it’s handled properly, project management becomes a secret weapon your company can use to trample unprepared competitors. Instead of unnecessary rules and decreased productivity, project management creates clarity, accountability and freedom. You’ll achieve increased efficiency, focus and speed. Having a system in place for project management isn’t pointless, it’s the must-have strategy your business desperately needs.